Hey, everyone! 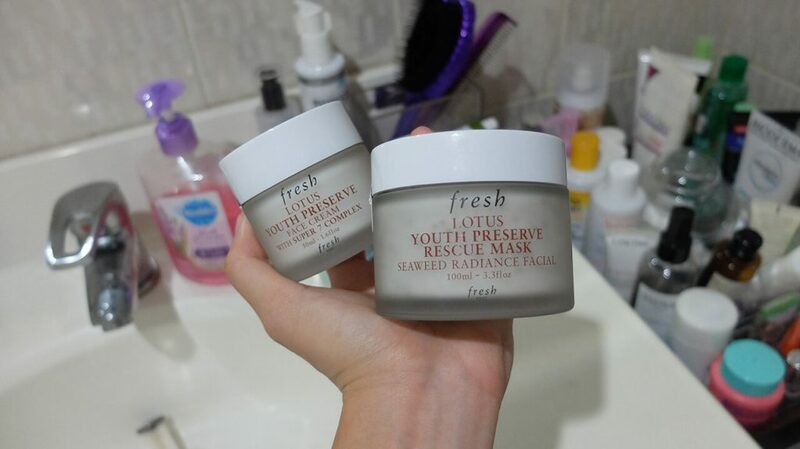 I’m back with another review, this time with two products that Sephora Philippines sent over to me—the Fresh Lotus Youth Preserve Rescue Mask Seaweed Radiance Facial and Fresh Lotus Youth Preserve Face Cream. It’s my first time to try the brand, though I’m a little bit familiar with it because I always see it whenever I browse through Sephora’s skincare portfolio. For those who have only heard about Fresh just now, it’s actually been in the industry for 25 years already. It’s all about pure beauty, and fusing effective natural ingredients, time-honored rituals, and modern science—to be able to offer a sensorial experience with undeniable results. The brand all started in Boston with a soap, which founders, Lev Glazman and Alina Roytberg, ideated. The two had opened an apothecary store in Boston in 1991, where they curated upscale, natural beauty products from around the world. Their now iconic Oval Soap sparked Lev and Alina’s passion for transforming everyday routines into sensorial rituals that are both indulgent and effective. After raising their brand in New York, and through the years, Fresh evolved into a full line of lifestyle products—spanning from skincare, to body care, to fragrance, to hair care, to home. Upon seeing the famed white-and-black packaging of Sephora perched on top of my table at home (it’s always such a giddy feeling, right? ), and cutting it open to find both products from Fresh, I was immediately intrigued. For one, anything that rhymes with the words “anti-aging” or “youth-preserving” are music to my ears—because at 29 years old, I’ve started to notice little lines on my face that weren’t there before, and anything that can help prevent more from appearing would be a huge consolation for me. So I was dead set on incorporating both into my skincare routine stat. It’s been a week since I started using both, so I think it’s enough time to share my initial thoughts. 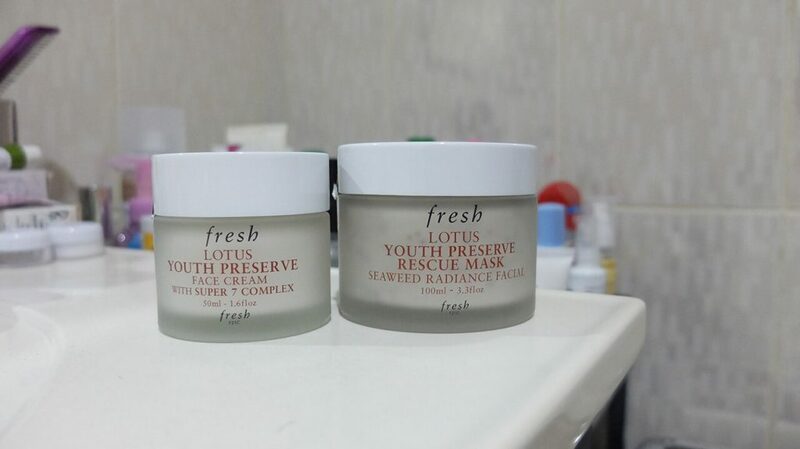 I’ve used the Lotus Youth Preserve Rescue Mask twice (before my facial wash), and the Face Cream every night (after my toner, eye cream, essence, and serum). Let’s talk about the mask first. The mask is made with a blend of seven super-charged ingredients, including lotus flower extract, that help hydrate, improve radiance, and promote a youthful-looking complexion. It’s also infused with kombu seaweed flakes, red algae particles, and lotus seeds to refine and smoothen the skin’s texture. Lastly, there’s sea fennel extracts to help enhance suppleness. 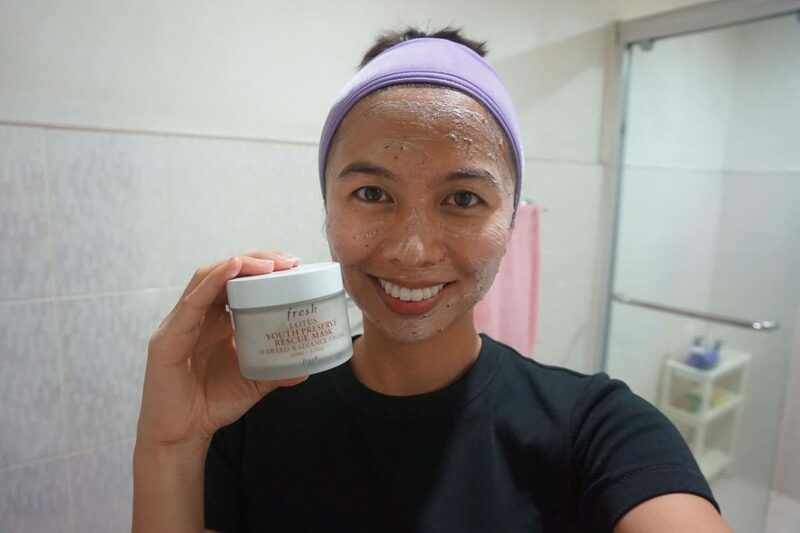 Unlike clay masks and gel-type masks, this one’s more like a cream with tiny beads that massage and exfoliate your skin as you massage it. What you do is apply a generous layer in circular motions and let it work for five minutes, then add warm water and continue massaging it onto your skin, before rinsing it off. It can be used two to three times a week, depending on how often your skin needs it. The results are pretty instant, because my skin felt extra soft after, and I felt like it prepped my skin better to absorb the rest of the products I applied. I think the only issue is the scent, because it smells heavily of seaweed. And though that’s not exactly a bad thing, I guess it takes a while to acquire a taste for it. Now on to the face cream! Lotus flower extract, sourced from Laos, which defends against wrinkle-causing free radicals. Blue-green algae extract, to help visibly minimize early signs of aging. Hibiscus fruit extract, which boosts hydration. Fig fruit extract, to aid in preserving ideal moisture levels. Vitamin C, which is known for its antioxidant and protective properties. Vitamin E to help soften the skin. Vegetable glycerol, which attracts water and seals in moisture. The first time I used it, I remember waking up the next day, touching my face, and being amazed at how soft and supple it still felt. After two nights of using it though, a few tiny bumps appeared on my forehead, but I easily took care of it with a pimple pad, and it disappeared the next day. I guess it was my skin’s way of adjusting to the product. But I haven’t had any breakouts ever since. Like the mask, my only issue is the smell, though the seaweed fragrance of the face cream is a little more subtle. But I think since I’ve been using it everyday, my nose is starting to get used to it. So yeah, that’s my review of both the Fresh Lotus Youth Preserve Rescue Mask and Face Cream! You can get them at Sephora for Php 4,015 and Php 3,236 respectively. Has anyone else tried these already? Let me know your thoughts! ‹ Calyxta Mother’s Day Giveaway: Win Php 5,000 Worth of Products! › Banila Co. Launches New Clean It Zero Formulation and B. By Banila! Cute packaging but I dunno if it’s worth the money because of its ingredients.